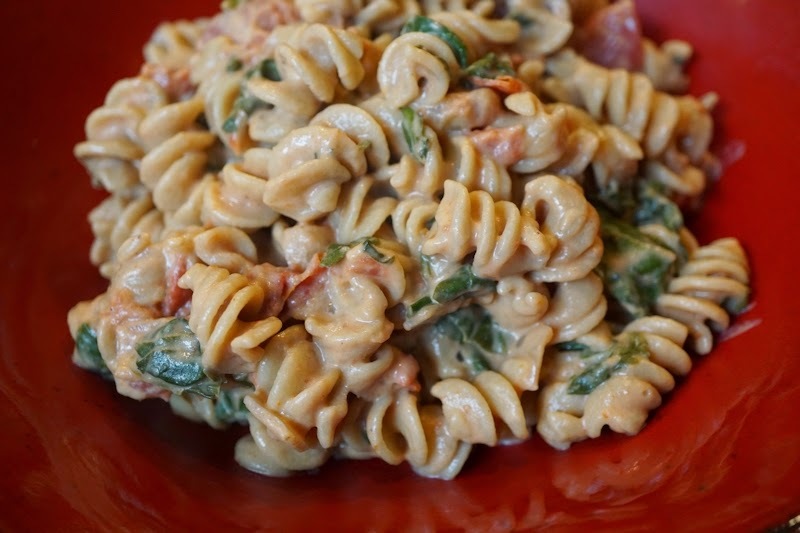 This is a fabulous, super-easy recipe from Simple Daily Recipes. I made a few modifications to reduce the fat and add more whole foods to it. It was DELIGHTFUL and the whole family loved it! 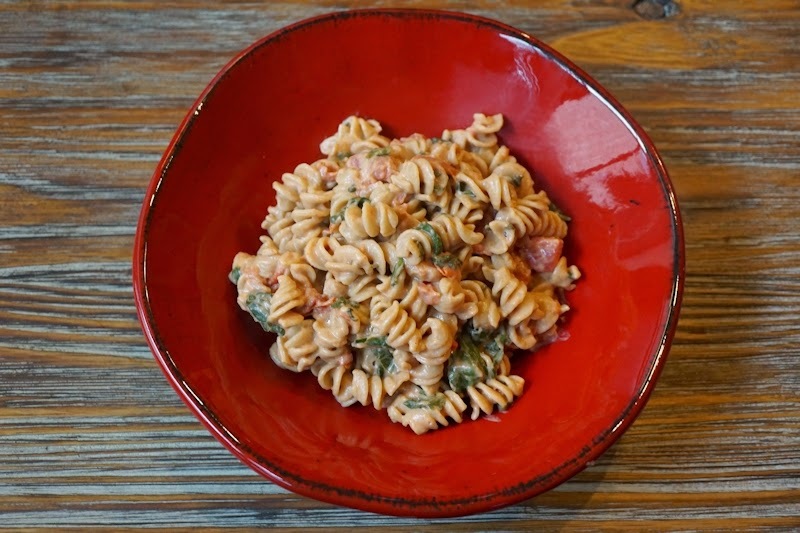 Boil pasta according to package directions (al dente) in a large pot or dutch oven. 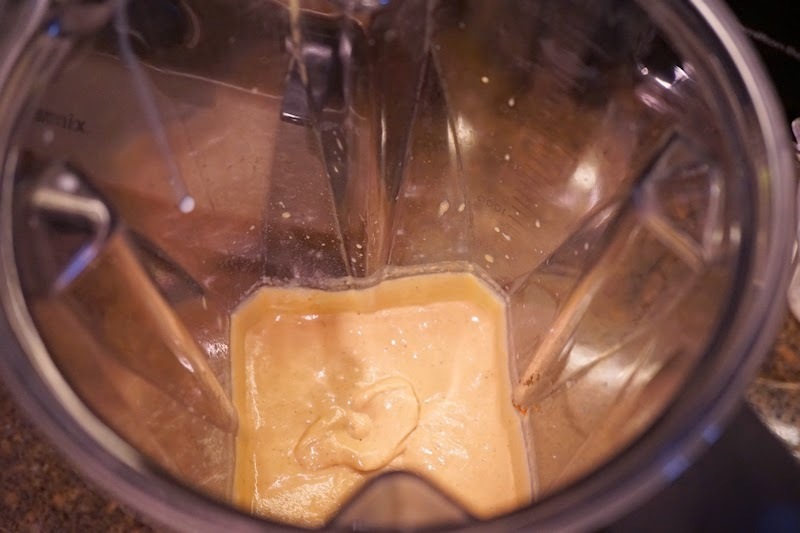 While pasta is cooking, make sauce in a high-speed blender by blending the cashews, soy milk, nutritional yeast, tomato paste, oregano, salt and pepper into a smooth consistency. Set aside. In a large skillet or in your pressure cooker (use the saute or brown feature), steamfry onion and garlic until the onion is translucent, around 8 minutes. Add a tablespoon or two of water if the pot/skillet gets dry. 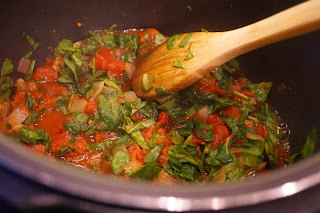 Add in drained diced tomatoes and chopped spinach. Cook another 5-7 minutes, or until the spinach is wilted and lightly cooked. Meanwhile, the pasta ought to be cooked al dente by now. Drain it off into a colander. Add the pasta and creamy sauce to the veggies in the skillet or pressure cooker. Fold all ingredients together until everything is well coated with the sauce. Add salt and pepper to taste. You can keep this dish on "warm" in the pressure cooker until you are ready to eat!